Homeblogfilm Robot & Frank | Will the elderly ever accept care from robots? film Robot & Frank | Will the elderly ever accept care from robots? The new movie Robot & Frank shows a machine taking care of an old man. The challenge here isn’t the technology, but the people. Set in the near future, Frank, a retired cat burglar, has two grown kids who are concerned he can no longer live alone. They are tempted to place him in a nursing home until Frank’s son chooses a different option: against the old man’s wishes, he buys Frank a walking, talking humanoid robot programmed to improve his physical and mental health. What follows is an often hilarious and heartwarming story about finding friends and family in the most unexpected places. Robot & Frank features an award winning cast including Academy Award® nominee Frank Langella, James Marsden, Liv Tyler and Academy Award winner Susan Sarandon. Early in the new science-fiction film Robot & Frank (opening Aug. 17 in New York and Aug. 24 elsewhere), Frank, an elderly man, gets a visit from his son, Hunter. Worried about his father’s apparent decline, Hunter takes a gift out of the back of his car: a white robot with a humanlike body and a polite speaking voice. The machine, Hunter promises, will keep his dad healthy and focused—and the house clean. Frank’s not so sure: “That thing’s going to kill me in my sleep,” he worries. But before long, the “health care” robot is cooking his meals, planting a garden, and planning activities to keep his human overlord occupied. The film’s depiction of robot-human relations may still be a fantasy, but it’s also a reminder we’ve been expecting elder care robots like Frank’s in the real world for several years now, and so far, they’re nowhere to be seen. So what’s the hold up? 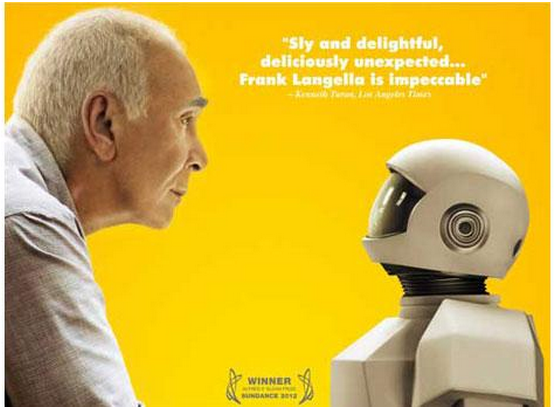 ROBOT & FRANK – Trailer from SamuelGoldwynFilms on Vimeo. ROBOT & FRANK – Hiking from SamuelGoldwynFilms on Vimeo.